For a quarter century, the film industry has roiled with rumors about a sequel to the 1992 hit A River Runs Through It — rumors that have fueled wild enthusiasm and staunch resistance. Now, MidCurrent can reveal that a two-page document obtained earlier this year is, according to deep Hollywood sources, the official treatment for a named sequel. 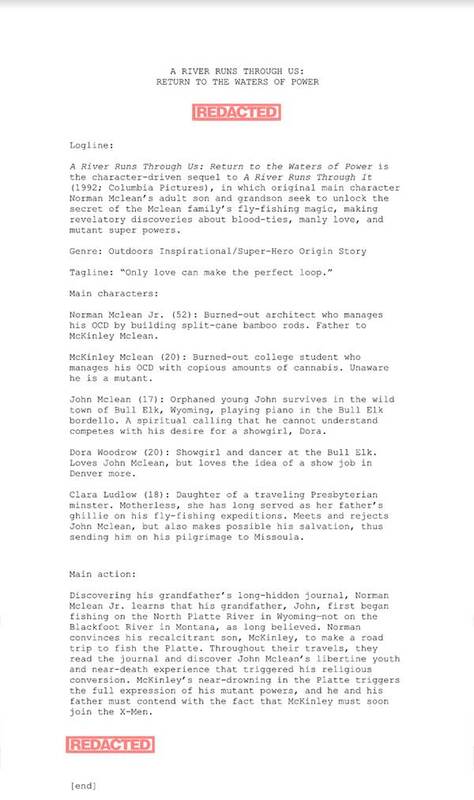 This website has also obtained two pages of rough script for this new film, apparently titled A River Runs Through Us: Return to the Waters of Power. Also, localized sources have confirmed with MidCurrent that a near-total buy-out of split-cane 4- and 5-weight rods occurred in Los Angeles late last year, suggestive of a new cadre of actors practicing the 10-to-2 on some closed lot or rooftop in Hollywood, just as Brad Pitt (supposedly) did back in 1991.
Who wouldn’t want a sequel? Probably the good people and resident anglers of western Montana, who withstood a bootfoot invasion of their favorite waters throughout the 1990s and early ’00s. Managers of Los Angeles fly-shops largely emptied of split-cane 4s and 5s have expressed a cool professionalism about the matter. Check out the evidence, and book ahead. 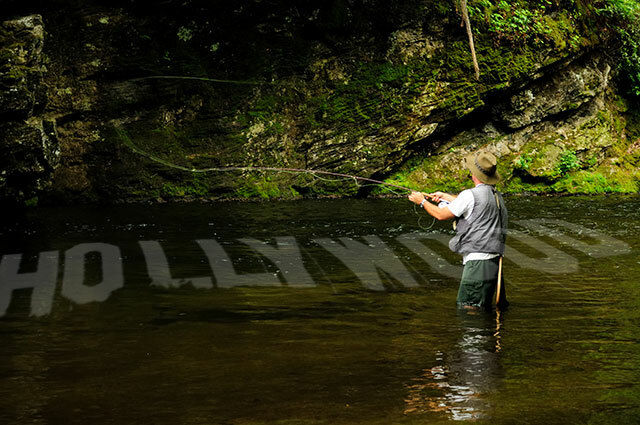 *With the U.S. retail fly-fishing market hovering somewhere around $890 million in value, a 60-percent jump now would represent an extra $534 million.